Isaiah Kaufman, Cailin Smith and Morgan Catron work together on their Maple Scholars projects in the lab. 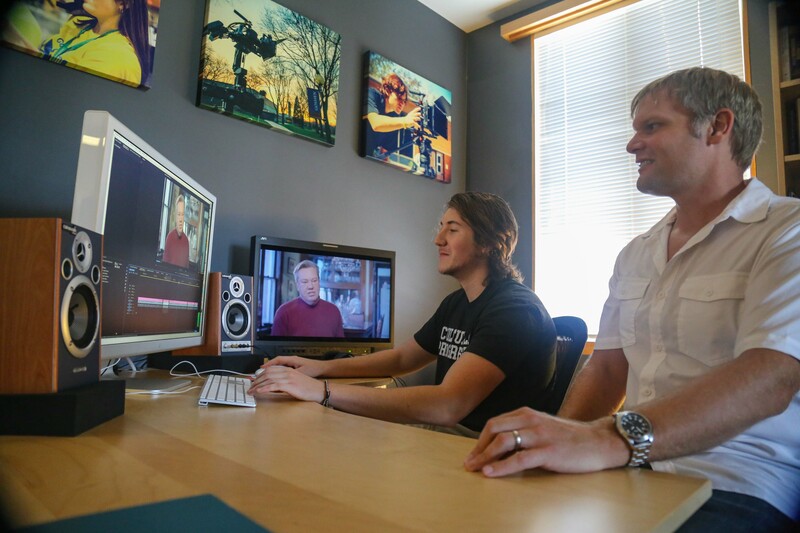 Ben Hathaway and Kyle Hufford collaborate on a documentary for the Maple Scholar program. 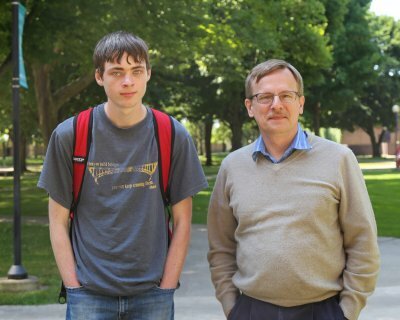 John Ross Buschert, professor of physics and a director of Maple Scholars, explained that the program reflects the history of Goshen College as among the first colleges to give undergraduate students the opportunity to engage in significant academic research. Buschert himself has worked with the program since 1990 － before it was called Maple Scholars － and says he is always amazed by the diversity of projects submitted each year. 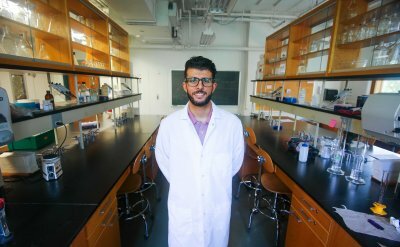 Maple Scholars is open to students of every discipline, and encourages those students to collaborate both with each other, as well as faculty members to create projects with significant and impactful results. The majority of the students participating in Maple Scholars are living on campus, with the goal of creating an academic community that fosters creativity and the sharing of ideas. All groups meet on Fridays at 9 a.m. in the Science Building to present on the current progress of each project. The program ended with a banquet and final presentations on July 20. Like the weekly presentations, community members and guests were welcomed and encouraged to see the students present the fruits of their hard work over the past two months. Ben Hathaway, a sophomore film production major from Goshen, worked with Kyle Hufford, assistant professor of communication, to create a long form documentary dubbed “The Goshen Schindler’s List,” continuing Hufford’s work from one of last summer’s Maple Scholars projects. The documentary will cover pieces of the story of Goshen’s Plaut family, who saved more than 13 families from the Holocaust. Jose Ortiz, a senior molecular biology/biochemistry and physics major from Goshen, worked with Landon Weldy, a senior history major from Goshen. 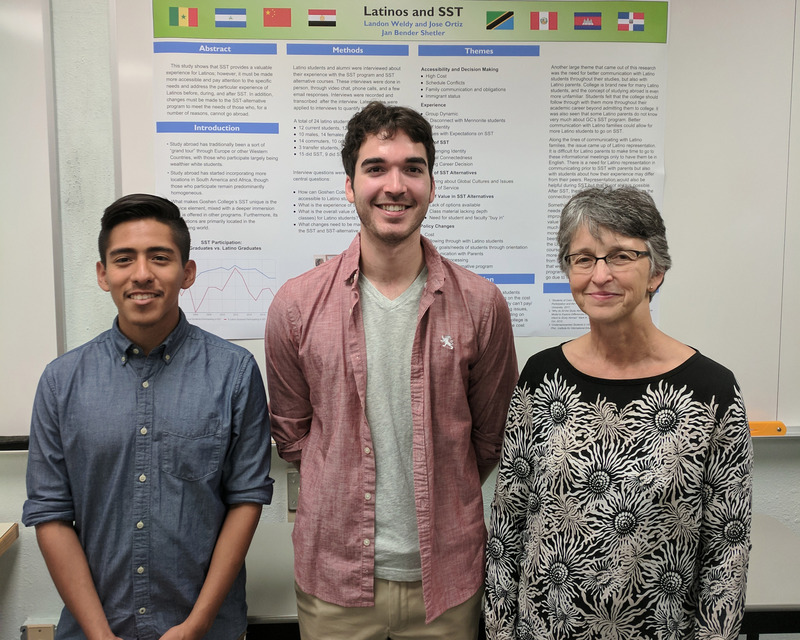 The two students worked with professor of history Jan Bender Shetler to better understand the experience of Latino students who participate in the college’s Study-Service Term (SST). 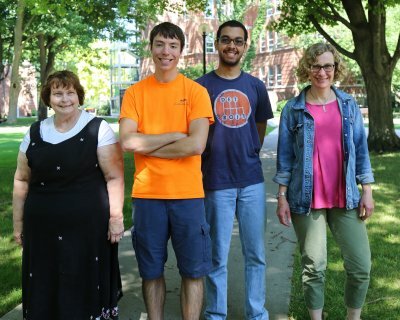 The project consists of a large collection of interviews and looks at both the SST and SST alternative program, which many Latino students elect to take. The group seeks to figure out how both the SST and alternative programs can better meet the needs of Latino students. Rudin Mucaj, a senior history major from Fier, Albania, worked with Justin Heinzekehr, director of institutional research and assessment, to research the history of socialism and its connections with Judeo-Christian religion. 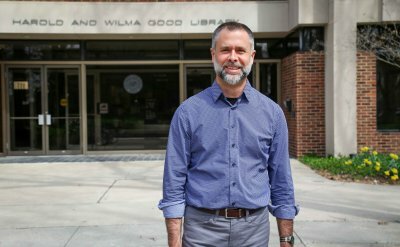 The research gave Mucaj the opportunity to collaborate on a joint project between Heinzekehr and professor Philip Clayton, Ingraham professor of theology at Claremont School of Theology, to write a book covering the religious roots of socialism. 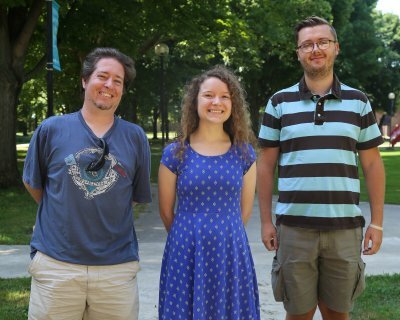 Laura Hoover, a senior broadcasting major from Chesterton, Indiana, worked with Jason Samuel, assistant professor of communication, to create a series of audio pieces that will celebrate the history of WGCS as it heads into its 60th anniversary in October of 2018. 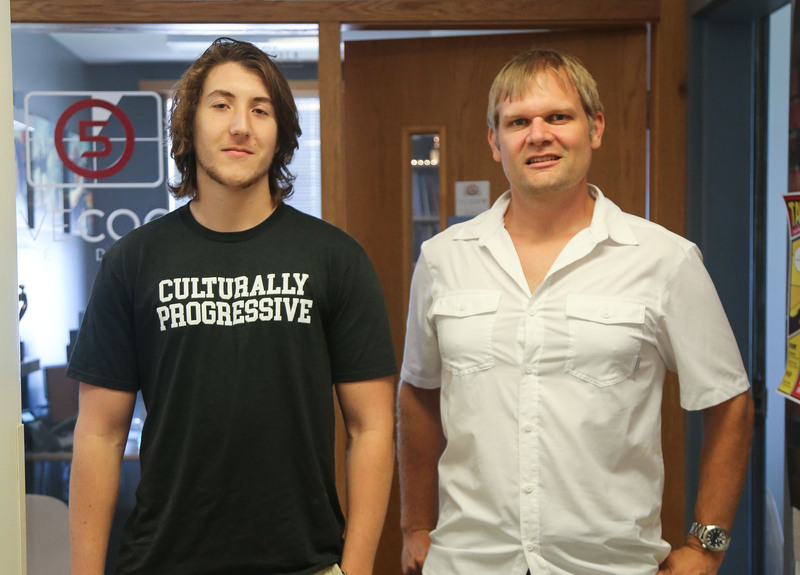 WGCS has been named “College Radio Station of the Year” four times (2012-14, 2016) by the Indiana Association of School Broadcasters, and “Best College Station in the Nation” twice by the Intercollegiate Broadcasting System in 2011 and 2013. 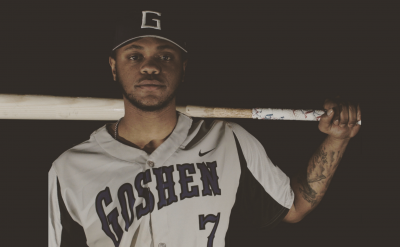 Hoover and Samuel aim to celebrate the proud history of the station through creating pieces that cover heart warming and historically relevant stories that have contributed to its success. Nick Schrock, a junior mathematics and history double major from Goshen, worked with professor of mathematics David Housman to research game theory, the mathematical study of situations of conflict and/or cooperation. They researched how to fairly divide things between various interested groups or individuals. One particular application of such research could be voting schemes, where different groups with different interests are given various amounts of representation. 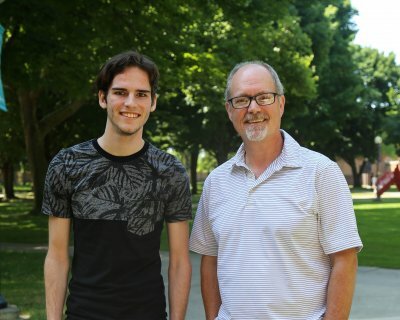 Bryce Yoder, a junior computer science major from Lancaster, Pennsylvania, worked with Randy Horst, professor of art, to design an animation course that aims to be offered as part of a new multi-discipline based game development minor at Goshen College. The project involved exploring 2D and 3D animation software, the creation of storyboards and animation concepts and eventually a completed animation project. 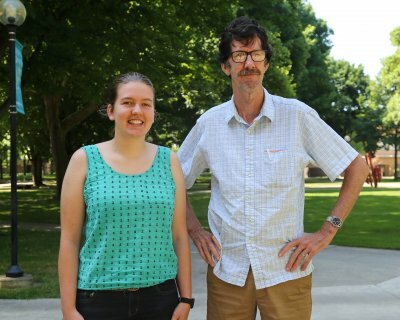 Morgan Catron, a senior molecular biology/biochemistry major from Goshen, and Cailin Smith, a junior molecular biology/biochemistry major from Knightstown, Indiana, worked with Andy Ammons, associate professor of biology, to research the genetics of mosquitos. The group studied the DNA and RNA of mosquitos with the goal of reaching a better understanding of how diseases such as yellow fever and Zika are transmitted and carried. The students aim to generate research suitable for presentation at local or national scientific conferences. 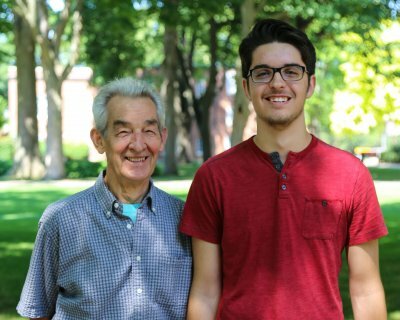 Isaiah Kaufman, a sophomore molecular biology/biochemistry major from Goshen, worked with professor emeritus of biology Stan Grove on AlgaeTown. 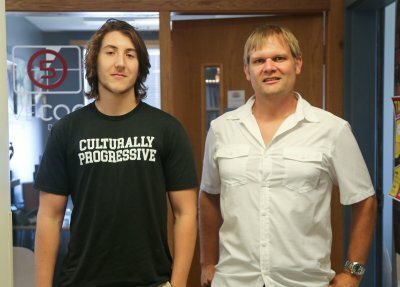 The project is one that Goshen students and faculty have been working on together with Formco Inc. in Elkhart over the course of several years, and aims to research how to use Microalgae to more effectively produce biomass as a source of energy, food and other products. Austin Hooley, a senior physics major from Goshen, and Claude Lilford, a junior film production and creative writing double major from Rustenburg, South Africa, worked with Jessica Baldanzi, associate professor of English, and Jeanette Shown, associate professor of computer science. 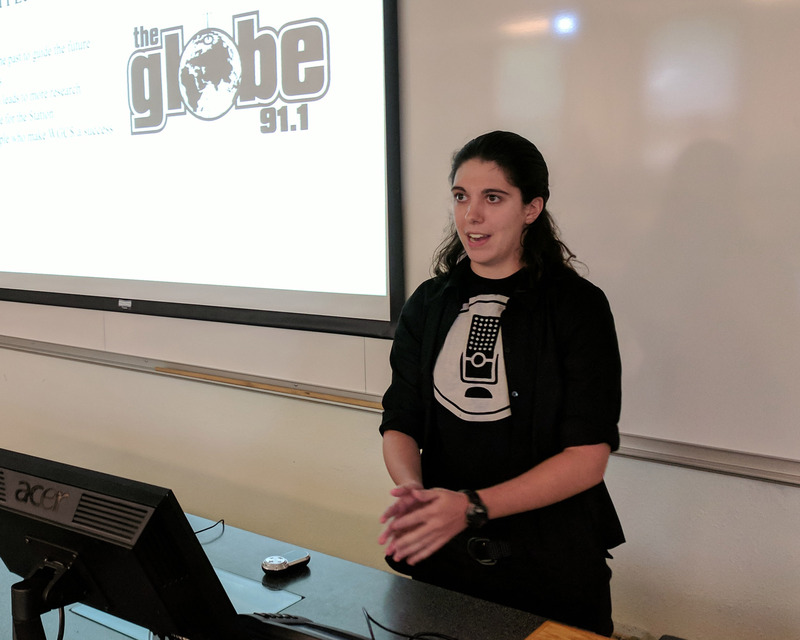 The group worked on a project titled “AI Meets the Graphic Nerd,” and aimed to create an interactive graphic novel that features, among other things, interactive moving panels. The project integrates work and research Baldanzi has done into graphic novels and research Shown has done into machine learning. Anja Kenagy, a senior physics major from Dix Hills, New York, worked with Paul Meyer Reimer, professor of physics, on a collaborative project to study the presence and effects of fungal toxins in the diet of infant Tanzanians. 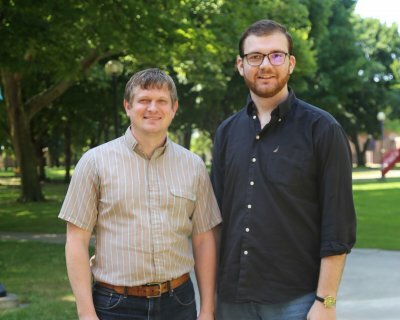 Their project looked at the geospatial prevalence of toxins in stores of groundnuts, and will aim to create a predictive model of toxins in the food supply based on environmental factors and using remote sensing techniques. Kenagy and Meyer Reimer aim to identify intervention strategies that could be used to better the situation.